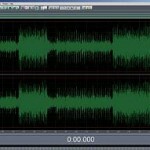 Producing music for disco house is becoming very common in home recording studios. 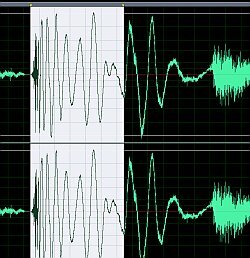 The techniques to produce this type of music are very different in producing rock and pop music. Someone asked me what would be my approach in producing, mixing and mastering disco house music. It starts simply by examining a reference audio material in this genre. 1.) The vocals are mixed low and panned in the center. This is different in pop and country where vocals play a strong role in the mix and is very prominent. 2.) Extra instruments are panned hard left and right. It employs a lot of synth effects to accomplish the house/disco punk effect. 3.) The bass drum and bass guitar plays a very strong role in the success of the mix. The bass drum and bass guitar are also panned in the center. Since these two are very important; it will be provided with much emphasis in this tutorial. It implies that if you are going to mix bass drum for disco house, you need to center the bass drum frequency around 50Hz, Q=1.0 (panned at the center). Since this is disco house music, you need to boost the bass to around +6dB to above. You need to monitor carefully because over-boosting the bass can also destroy your mix. I suggest that you mix using a subwoofer. Without a subwoofer, it would be impossible for you to decide whether the bass levels in your mix are enough. Some nearfield monitors such as Yamaha HS80 do have some extended low frequency response, so if you are using monitors like this; you might not need to purchase an extra subwoofer. You can read my studies on different nearfield monitors here. 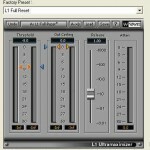 Other thing that you should consider when mixing bass levels is your room acoustic response. Some home recording studio acoustic environment is not properly treated. As a result, the bass levels are either amplified (by standing waves) or reduced. 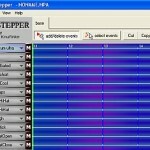 If you encountered situations like this, it would be very hard to mix this type of music that depends so much on bass. Read this tutorial on how to improve your acoustic environment. To avoid masking with bass guitar, you need to cut -9dB on the bass drum 200Hz at Q=1.4 (or 1.0 if its not clear enough). Listen to it a couple of times until there is perfect clarity between bass guitar notes and the kick drum. The bass guitar EQ setting is provided next. 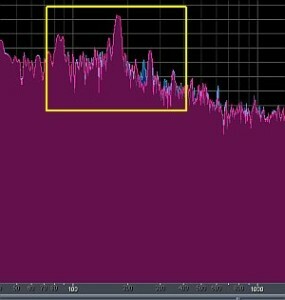 It shows that to mix bass guitar for disco house music, you need to center it at 200Hz Q=1.4, boost it to around +3dB to +6dB until the bass guitar solo become prominent along with the bass drum. 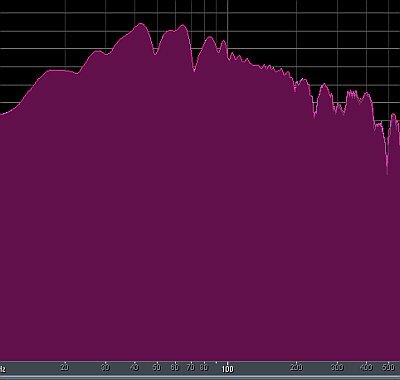 To avoid masking with the bass drum, you need to apply low shelf at 100Hz for the bass guitar.